Thank you to all our customers for another exciting year of driving Internet of Things growth in the New Zealand Market. We have seen significant growth and innovation across NZ, connecting devices in Agribusiness, Smart Cities, Security, Transport, Logistics, and Mobile Payments. We’ve also seen an increase and demand for Lone Worker solutions within IoT Ecosystems, and we expect this to continue with Enterprise customers driving greater IoT adoption. In my 25 years of being in the mobile telecommunications industry, I have never seen so many mobile connectivity solutions launched by operators in one year. Spark launched a dual IoT Network with LTE-M1/CAT M1 and LoRaWAN AS923; Vodafone launched LTE-M1/CAT M1 and NB IoT, and Sigfox is already out in the market. What does this mean for you? Greater opportunity to drive further growth and explore new complimentary IoT Ecosystems. 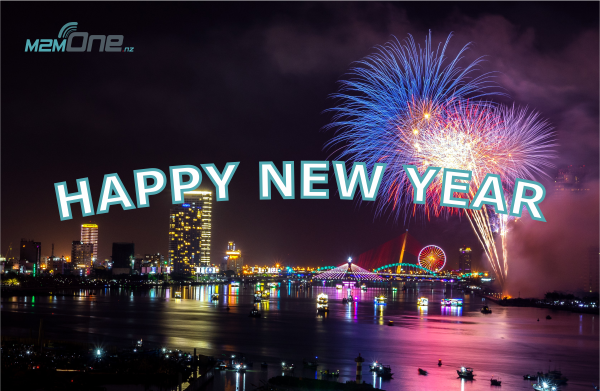 We can’t wait for 2019! Over the holiday period , we will be operating with a minimum team starting from 24th December through till the 7th January 2019. If you need SIM’s, please place your orders now. 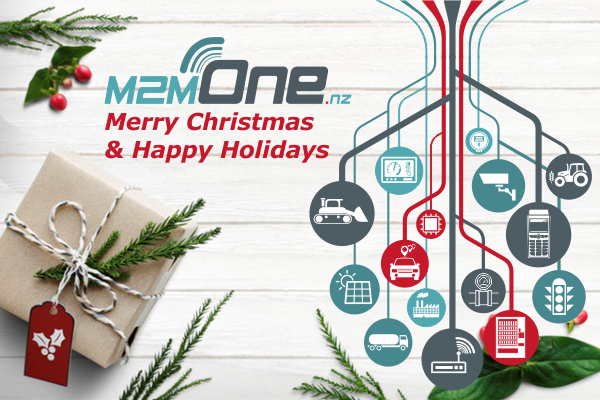 If you have any urgent requirements during this period, you can email info@m2mone.co.nz with the SIM ICCID or mobile and contact details, and we will respond. Thank you for your continued support, We wish you all a Merry Christmas and Happy New Year from the M2M One Team. We love helping to simplify IoT and connecting IoT Ecosystems everywhere. This time of year always produces predictions about what is to come, and we have read through a lot of predictions to draw out some common themes, and here are the main ones. Estimates say over 80% of health care organisations have adopted IoT. Perhaps not the full potential of IoT, but they are steadily adopting the technologies. The same is true for automobiles. While we may not all have self-driving cars just yet, most new cars bought are connected for monitoring and management. Some believe the ‘IoT’ term will start to fade. This is a sign of the maturity, where the umbrella term ceases to be relevant and the functional subcategories take over, such as Real Time Asset Monitoring. Industry participants start finding their places and their attention becomes more granular to their relevant fields. Over time the needs and concerns of subcategories are more disparate and they no longer see commonality based on devices communicating. Many are learning that IoT is finicky. Integrating fragmented platforms, communications and connectivity standards, and analytics requirements needs a great deal of attention and knowledge. For many IoT users, they want the outcomes more than being involved with the process of getting there. Most who use and benefit from IoT are not specialists in the technology. IoT augments their business, so it’s worth outsource the management of their IoT networks to specialists. Persistence Research expects managed services to grow to a third of the IoT market.